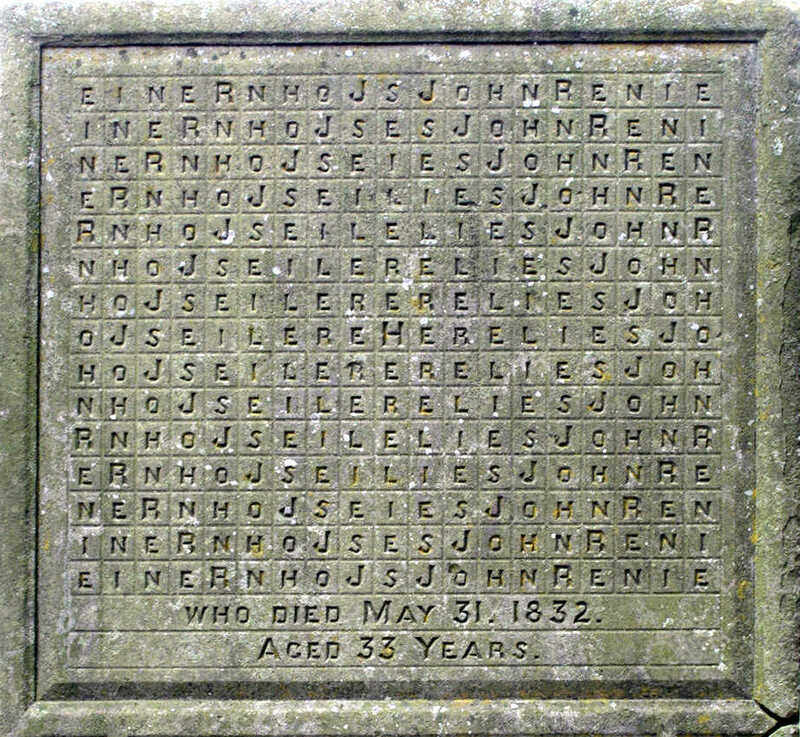 John Renie knew he was dying (who doesn't), definitely had a sense of humor ... and was probably a puzzle fanatic. 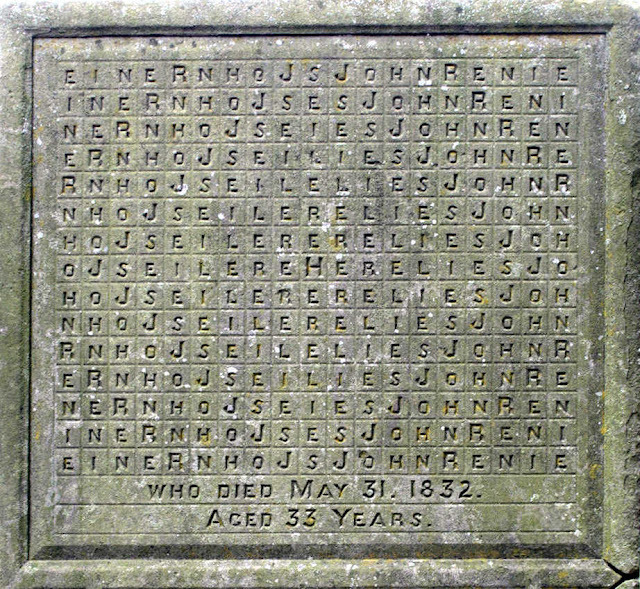 "The gravestone of John Renie, a 19th-century house painter, at St. Mary’s Priory Church in Monmouth, Wales, is a 285-letter acrostic puzzle — from the central H the sentence “Here lies John Renie” can be traced out (in king’s moves) in 45,760 different ways. Renie probably carved it himself; according to cleric Lionel Fanthorpe, he hoped it would occupy the devil while he escaped to heaven."